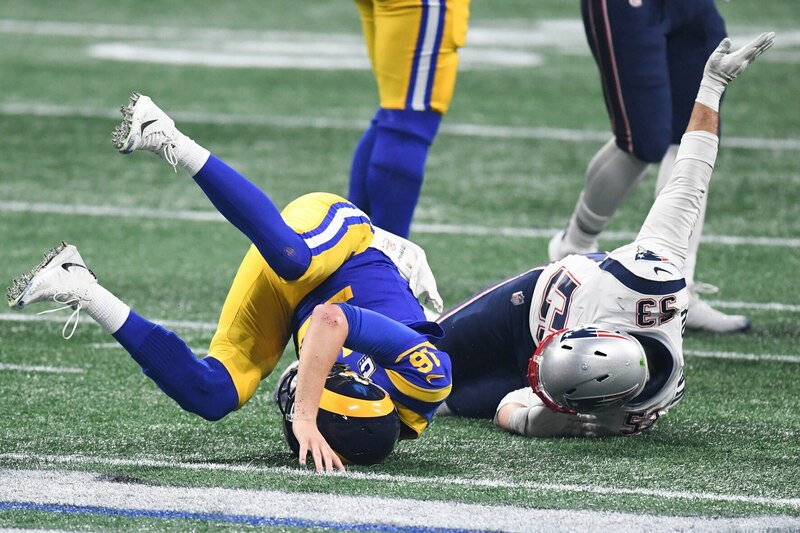 Jared Goff has been a miserable wreck most of the game, and when his team needed him to step up in the fourth quarter of Super Bowl LIII he failed to deliver. Needing a big throw on third down, with his team down by a touchdown and just over four minutes remaining, Goff threw a duck toward Brandin Cooks. The throw never had a chance, and Stephon Gilmore had no trouble stepping in front of it for the easy interception. There’s still time left for the Rams to make a comeback, but this play likely sealed their doom.